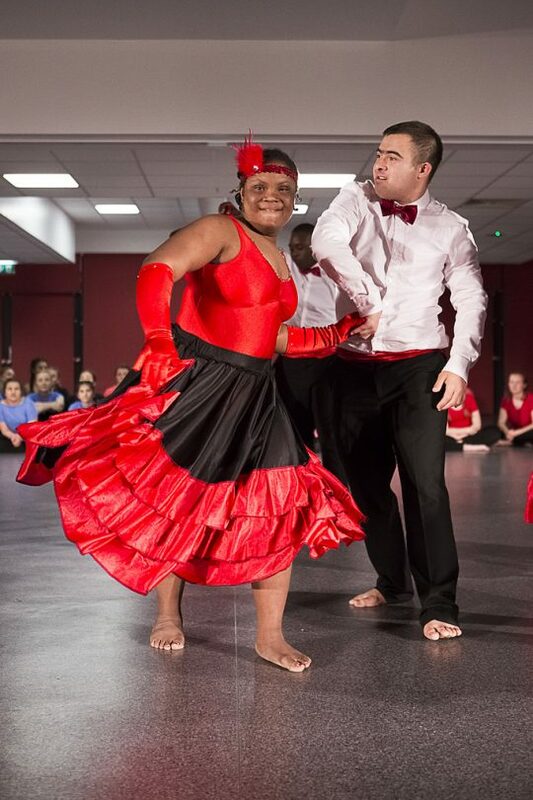 On Monday, the UK’s largest inclusive secondary school dance programme puts on its annual festival of youth dance at London’s Southbank. 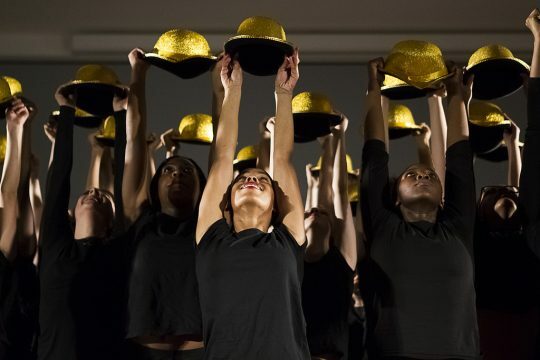 Over 700 young people from across London and Essex will be involved in the performance. 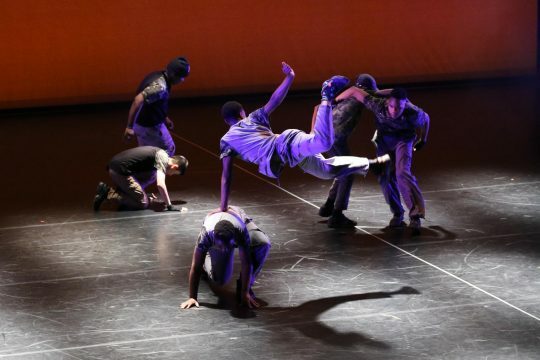 Step Into Dance is a partnership between grant-making organisation the Jack Petchey Foundation and the Royal Academy of Dance. 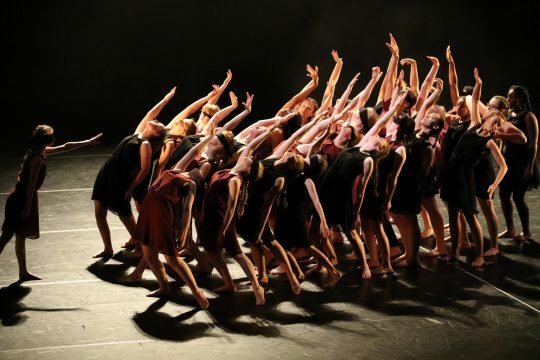 The scheme runs extra-curricular classes and performance opportunities across London and Essex, enabling young dancers to develop their talent and mix with a diverse range of people. The project reaches 200 mainstream and special needs schools a year and since its launch 10 years ago, has worked with hover 50,000 young people. The gallery of images here show the project’s regional performance events and last year’s live festival. For more information, check out the Step Into Dance website. Right now feels something like a pivotal moment in disability rights – and specifically for people with learning disabilities – I state this cautiously because we all know that grand plans and wise words still need to translate into deeds. If you’ve been following the debate about turning the rhetoric of community integration into reality and the plans to tackle the failures in supporting people who have a learning disability, you’ll know there’s a massive gulf between what should happen and what actually happens; between what national policy sets out as “good practice” ideals and what takes place on the ground. 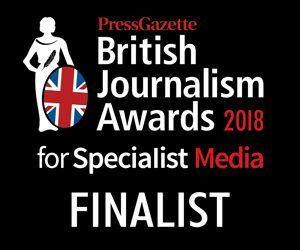 This was brought home to me not only through what I’ve been researching and writing recently, but when I was told of the experience of a group of young people with complex physical disabilities in south east London. The group from Family Link, Bromley, a charity that offers supports outside school and at weekends, visited a computer store on a Saturday morning. They were looking forward to seeing the latest gadgets and testing some of the equipment on display. But,they were barely there a few minutes when they were asked by a member of staff to “move on” if they weren’t actually buying anything – despite the fact that there were plenty of their (non-disabled, non-wheelchair using) peers browsing just as they were. In fact, the computer your face/body doesn’t fit – so get out. The group leader protested but, clearly made to feel unwelcome, they left. The charity has since complained to the company, which has apparently noted its objection. Family Link is awaiting a reply. The organiser of the group says she still feels cross thinking about it several days after the event. She’s not alone, it’s hard not to feel angry about incidents like this, where people with disabilities are made to feel inferior or unwelcome in public places – as I know and have blogged before. And how ironic that the charity had the misfortune to meet such a backward-thinking dinosaur in an evnironment championing the forward-moving digital world. I won’t name the store here as I’ve not approached it for comment, so to point the finger at the company without offering a right to reply would be shoddy treatment (though, for the record, not as shoddy as the two fingers apparently flicked at the vulnerable young people simply enjoying a morning out). Maybe there was a misunderstanding. Maybe it simply a rogue sales assistant who didn’t know his Disability Discrimination Act from his disk drive. Maybe there’s lax management at play that allows such attitudes to prevail. Or maybe it’s because, as I’ve blogged before, despite years of good practice, policy and guidelines, the real pace of change out here in the real world for people with complex needs is slow. The computer store incident is also regrettable, given what technology offers not only through its assistive form but through its educational benefits (in fact a new report today from the National Literacy Trust and Pearson underlines how touch-screen systems could tackle low literacy among boys and disadvantaged children). There’s the social aspect to technology too; something as simple as a smart phone allows easy use of text and email, for example, meaning my phone-call shunning youngest sister and I can stay in touch more easily. This stark contrast between practice and possibility was underlined when I heard of an innovative new technology enabling disabled children to design and print objects in 3D – using only their eyes. Disability charity Livability is currently using SHIVA (Sculpture for Health-care: Interaction and Virtual Art in 3D) at its Victoria Education Centre, a school for children with physical disabilities. 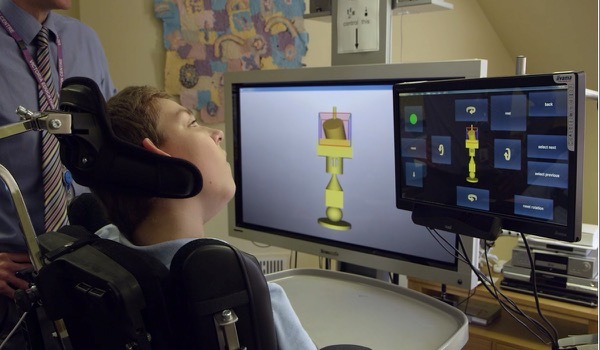 The ground breaking collaborative project was created by a group including Mark Moseley, assistive technologist at the school, the National Centre for Computer Animation at Bournemouth University and researchers from the University of Lille. In a nutshell, “eye-gaze technology tracks where a user is looking and translates it into screen coordinates so that on screen cells or buttons can be selected”. Around 15 pupils with varying levels of disability have used the software and many models have already been produced. The creators now hope that new funding can be found so that the software can be further developed and used by more young people. More people with disabilities should – if they want to – be free to road test interesting existing and new technologies, trying out software in high street computer stores, for example, rather than being asked to leave them. Stories of public sector waste and inefficiency are commonplace, not least amid the current climate of cuts and the notion of “doing more with less”. Which is why I was interested to hear of a project in Gloucestershire that collects old computers from police, NHS and other public bodies and charities, gives them a new lease of life and distributes them to African schools. 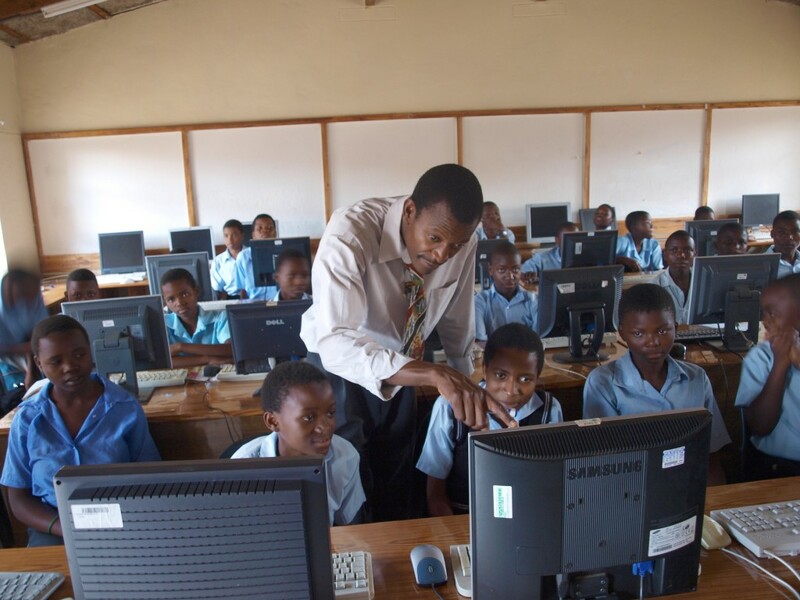 IT Schools Africa, which celebrated its 10th anniversary last week, collects old, used machines in the UK, refurbishes them – dismantling them and fixing software problems, for example – before sending them to schools in Africa. Given the recent news of dodgy tech hardware – and frankly even dodgier tech opinions – it’s a good time to be reminded about IT’s positive impact. 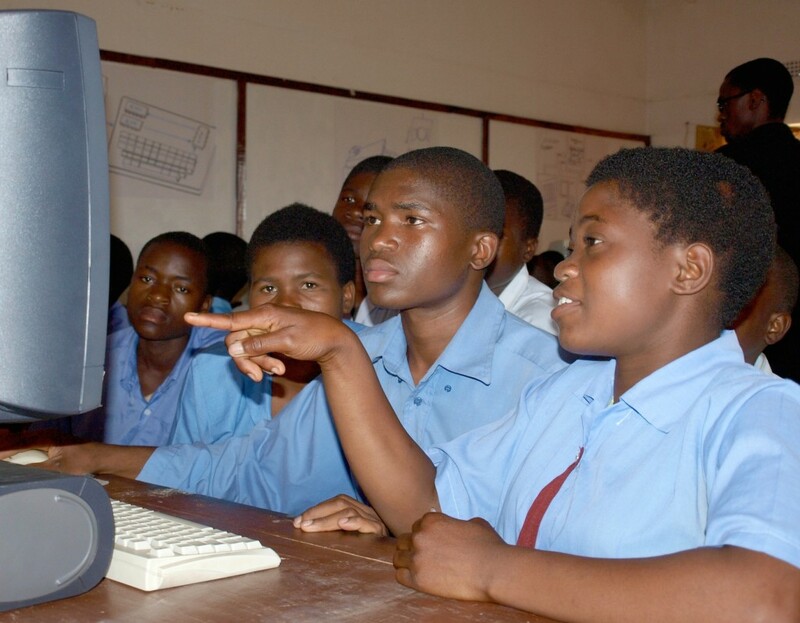 The charity has sent more than 44,000 recycled computers to eight African countries since its launch, allowing an estimated 3m children access to technology. It also delivers technical support and IT teacher training in the schools. Manufacturing a PC, as the charity points out, consumes 240kg of fossil fuels, 22 kg of chemicals and 1.5 tonnes of water. So re-using the machines not only benefits young people in Africa, but helps the environment (once the computers have reached the end of the lives in Africa, the charity also recycles the materials and parts). In the UK, the charity offers work experience to local students and to young people with special educational needs as well as to the long-term unemployed. It works with three prisons – Cardiff, Whitemoor and Winchester – where prisoners work to refurbish computers. Over the last three year Gloucestershire Constabulary has donated 275 computers, the local NHS Trust 194 computers and charity donors include the Wildfowl and Wetlands Trust (147 machines), the Order of St Johns Care Trust (208 computers) and the Royal Hospital Chelsea, which gave 21 computers. Private sector firms and individuals are also among those donating machines, and the charity is using its 10 year landmark to renew its fundraising dive, hoping to expand its network of donors and its work with prisons. Fresh questions are being asked about the government’s beleaguered post-Winterbourne drive to improve care for learning disabled people. An investigation is underway into “bullying accusations” at a special school run by a charity whose chief executive is trying to reinvigorate the flagging £2.86m government improvement scheme. Bill Mumford, chief executive of MacIntyre which runs Womaston School and Children’s Home in Wales, offered to stand down as director of the Winterbourne improvement programme after allegations of mistreatment at Womaston. The government programme launched after the abuse of learning disabled patients at the Winterbourne View privately run unit in south Gloucestershire, abuse that was exposed by BBC’s Panorama in 2011. It aims to move individuals out of institutional, large-scale, long-stay units and into community-based accommodation. Concerns about the behaviour of some staff towards children at MacIntyre’s specialist residential service were reported by a member of staff to the school principal in March and police and social services are investigating the claims. The school, home to students aged aged 10-19 with autism, complex behavioural needs and learning disabilities, will close in July with the young people moved to alternative placements. Staff have been suspended, other staff drafted in and, says MacIntyre in a statement, “the alleged behaviours are not occurring in the service now”. The investigation into Womaston is expected to last several months and there are no more details about what the allegations involve. A BBC online story refers to “physical abuse”, a statement from MacIntyre describes “concerns” about the “behaviour of some other staff members” while a personal statement from Mumford mentions “a small group of my staff…suspended following accusations of bullying”. The incident has sparked fresh criticism of the Winterbourne programme run jointly by the Local Government Association and NHS England. It aimed to move everyone out of such assessment and treatment units by 1 June 2014 but after little progress (3,250 people with learning disabilities and autism are still in private or NHS-run settings like Winterbourne View), its previous heads left and Mumford took over in January, on secondment from MacIntyre. New NHS figures show only 256 out of 2,615 in-patitents with learning disabilities or autism have dates for transfer into community settings and more are being admitted to NHS settings than moved out. The death of Connor Sparrowhawk recently reignited debate about the use of such units that cost around £3,500 per person per week and leave people at serious risk of neglect and abuse. Mumford has issued a personal statement “re the investigation at MacIntyre and my continuing role in support of the Winterbourne prog” (that’s a statement taken from Twitter). In it, he accepts concerns that while he is charged with a national role to improve the care and support of learning disabled people, employees of the organisation he presides over were carrying out exactly kind of behaviour he’s trying to stamp out. He also addresses the fact the drive has been less than successful. Discussion (so far mainly on social media) involves support for Mumford and the Winterbourne programme’s aims as well as criticism about why a statement was only made public this morning and why there was not more immediate public transparency after the claims were lodged with the relevant authorities. *This post was updated this evening in an attempt to clarify “bullying accusations” and add figures and links relating to the number of in-patients with learning disabilities. Hazrat Bilal from Narshingdi, Bangladesh, has been blind since birth, but it was only in 2008 at the age of 33, with support from Bangladeshi charity Action for Blind Children, that he was officially registered as permanently disabled. That led to more support from services for the visually impaired; Hazrat got to know other people with sight problems and began to gain confidence. The 39-year-old now runs his own grocery shop and has helped form a self-help group. 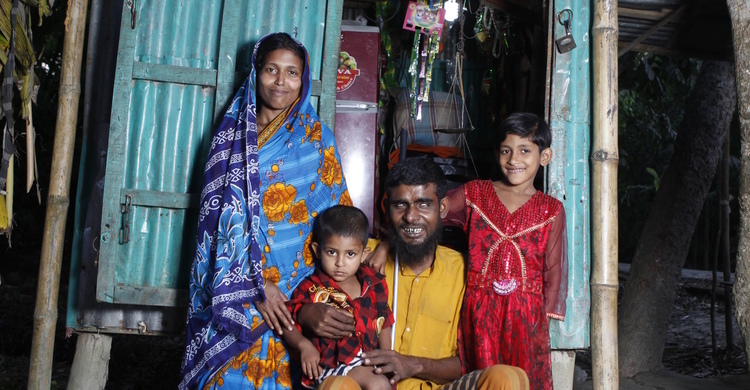 It was only after help from the local charity, a partner of international charity Sightsavers, that his life was transformed but if more international development and aid plans were disability-inclusive, there would be many more stories like Hazrat’s. One billion people all over the world – 15 per cent of the population – have a disability, according to the World Health Organisation. Of that total, 80 per cent live in developing countries. Despite the fact that one of the eight Millennium Development Goals that world leaders agreed in 2000 was that every child should have a full primary education by 2015, more than a third of the 57 million children worldwide missing out on school have disabilities (see this stunning picture story about blind schoolchildren in Uganda). It seems incredible but disability was not included in the Millennium Development Goals. Disabilities contribute to global economic, political and social development but it is well documented that development programmes overlook disability issues. That may change if a new report by the International Development Select Committee on disability and development has any impact. Today’s report urges the Department for International Development (DFID) to strengthen its work to include people with disabilities and calls for a focus on disability as a development issue. The report’s recommendations echoes some of the actions outlined in international charity Sightsavers’ Put Us in the Picture campaign. Launched last year, the campaign calls on policymakers and politicians to include disabled people in international aid and development plans, highlighting the links between disability and poverty. Specifically, the campaign says the government must ensure people with disabilities participate in, and benefit from, international development programmes and must talk, listen to and work with people with disabilities and their families. It also argues that DFID staff should be trained to include people with disabilities in their work. Research from Goldsmiths University recently suggested that wealthier people are more musical. While it’s obvious that higher income families find it easier to stump for private piano lessons and expensive instruments, music has a place in boosting inclusion and there are some great community-based projects that not only make music more accessible, but aim for social impact in the process. Take the Sage Gateshead, which is halfway through a four-year cultural exchange scheme with a Brazilian government programme called Santa Marcelina Cultura (Santa Marcelina Cultura manages São Paulo state government’s music education and cultural inclusion project – Projeto Guri). The project aims to improve arts education and boost social inclusion in both Sao Paulo and the North East. “We’re about to enter the second leg of the second year of the project. Each visit is around two weeks long and involves observing practice, learning from each other, sharing ideas around social pedagogy and music education, and teaching. The two weeks are incredibly intense and informative. For me, the first leg in 2012 was about getting to know Guri and what they do and weighing that up next to what we do. There are many differences but also many similarities in our own teaching styles but there is always the underlying theme that everyone deserves high quality music education. I was very proud when the Guri team came to Gateshead, I was proud to ‘show off’ the Learning and Participation department. The second trip to Sao Paulo was where I really began to understand my role and understand how the music that I teach and that I love is relevant. We had a ceilidh for over 200 Guri young people and in the run up, the Guri staff reflected that they don’t use much, if any, Brazilian folk music. Much of it disappeared when the Portuguese invaded, and the post Portuguese music is often full of religion. What some people said is that seeing how British folk music can be used to teach rhythm, pulse, work in choirs, to teach intervals, to be a story for no other reason than to sing a good story, will make them investigate further their own traditions. The ceilidh was my most favourite moment of both my times in Sao Paulo. My Brazilian colleague Paulo and I co-led this ceilidh even though he has never ‘called’ ceilidh dancing before and I speak minimal Portuguese! We had a ceilidh band made up of Sage Gateshead musicians and we had guest spots from some of the youth groups that we’d been working with… a wind band of young Brazilian musicians on saxophone and horns playing traditional Northumbrian music. Over a cold beer afterwards we all reflected that our own traditions are so close that they are normal, they’re ordinary. Placing the ordinary in an extraordinary context allows it to be fresh again. The main challenges are in the circumstances that the young people who come to Guri live in. The Guri social team, who are absolutely outstanding, work with each and every young person to enable them to get the best from their learning, to fully engage with the programme. Sometimes that means holding their place for them for a few weeks whilst they have time to deal with the outside world. 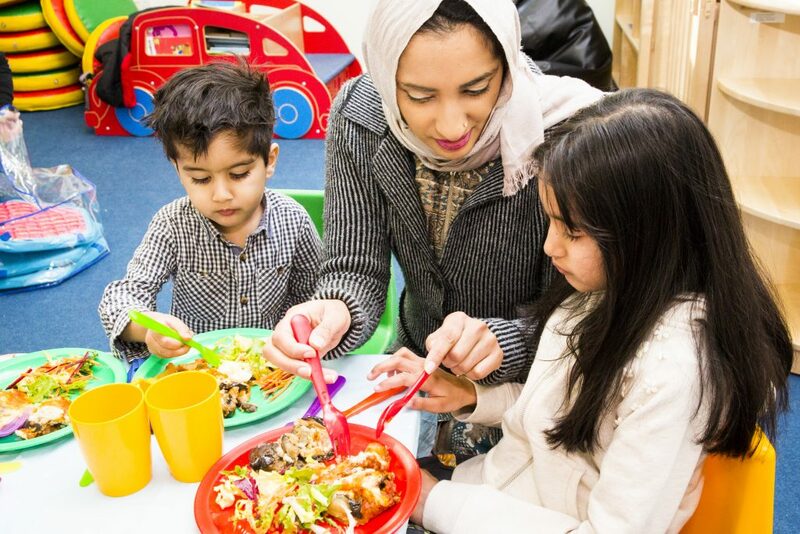 Sometimes it can take the social team visiting their home and working with their family, and sometimes it can be as simple as making sure they’ve had a good meal in their stomachs so that they can concentrate. Often these young people will travel three hours to Saturday rehearsals, their transport is paid for and they receive meals and snacks to sustain them. Sao Paulo is a wonderful city but like all cities it is full of contrast, of huge wealth and incomprehensible poverty. My own personal learning was huge, from trusting the music that I am passionate about to my confidence in my own teaching. Lots of the wider learning is still on-going, ‘what is a democratic music education?’ has become the research question. Both Sage Gateshead and Guri Santa Marcelina promote social inclusion and help people from different background to mix. How many Brazilian teenagers get the chance to work with a group of musicians from the North of England? 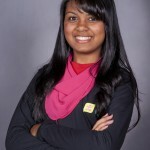 “I am currently enrolled as a music student at Guri Santa Marcelina (GuriSM) education programme and member of GuriSM Youth Choir, an auditioned choir in the institution. 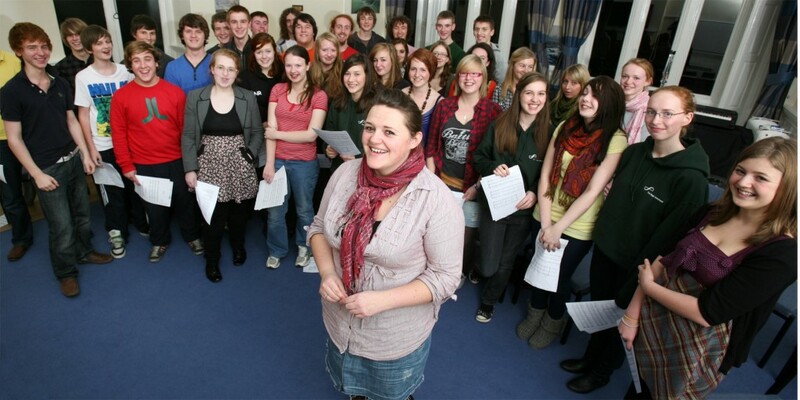 The Sage Gateshead team was invited to work with GuriSM Youth Choir in October last year. The exchange project between GuriSM and Sage Gateshead is focused on “what is a democratic and inclusive music education?” and also involves many diverse activities like workshops, seminars and performances. A real highlight for me was when we held and took part in a Ceilidh dance. There were so many people and so many English tunes. I really felt as if I was over here in a traditional English Ceilidh. During the exchange I have found the most challenging moments the discussions around democratic and inclusive music education, particularly around the questions of what it is and how to promote it? It is a very emotive subject and you can explore it very deeply. It was also the first times students had participated in discussions about education in Guri Santa Marcelina. The size of both projects (Guri Santa Marcelina and Sage Gateshead) means the subject and the work that goes on is much more complex than I thought. However, this complexity drives both institutions to look for solutions and not give up. Projects like this foster the contact among people of different backgrounds. With such contact I believe the horizons broaden; and this encourages inclusion to take place. I believe that this sort of music exchange between great partners brings about knowledge of culture from different places. I think collectively it can better inform citizens than if you are trying to do it by yourself. It is much more than just entertainment! It’s not the first pairing of the Beatles and Shakespeare, and nor is it unique for making the work of the bard more accessible, both in the theatre and in print. But it is among the most unusual and inspiring. Students at Gosden House special educational needs school near Guildford will today perform an interactive version of Twelfth Night, influenced by and including music from the album Sgt Pepper’s Lonely Hearts Club Band. An inclusive performance for a young audience with complex learning difficulties, it aims to transform the audience into members of the Lonely Hearts Club Band, with a Shakespearean twist. 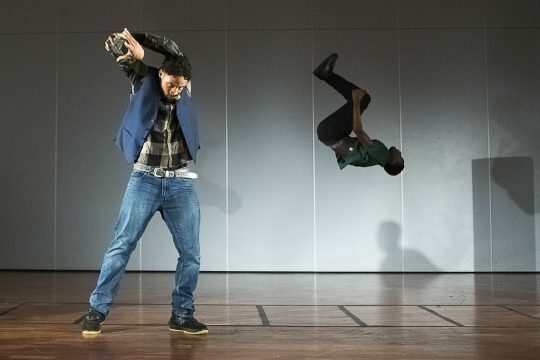 The show marks 10 years of an arts education partnership between the school and the educational arm of Shakespeare’s Globe – the first production a decade ago was Romeo and Juliet. For the last few weeks, Globe Education education staff have visited the school to work with students and teachers and prepare for today’s show (the 10 year anniversary coincides with the retirement of Godsen headteacher and Beatles fan Jon David). The event is billed as an “eclectic mix of Shakespeare and Sgt Pepper” and students have been involved in creating five original songs while others will be playing music as part of a live band at the start and end of the play. The children themselves become Shakespeare’s Lonely Hearts Club Band. 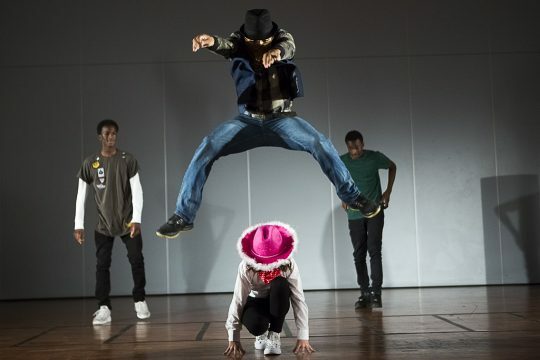 For Globe Education, the partnership has enabled practitioners to develop similar practices within the Southwark community where the theatre is based. The Globe is also involved in putting on relaxed performances which I’m a big fan of, and is training practitioners to work people on the autism spectrum. For today, however, the focus is on Godsen’s talented students. To use the words of Lennon and McCartney in Sgt Pepper, “they’re guaranteed to raise a smile”. 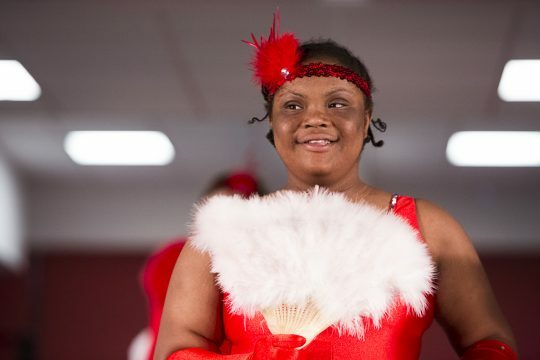 Florence’s memories are among those featured in a project that encourages schools to create theatrical performances based on real stories of disability from people born in the 1940s, 60s and 80s. 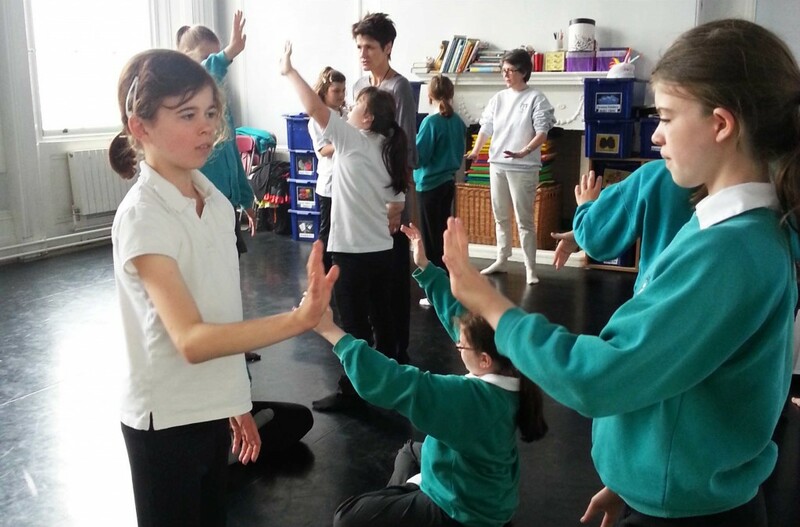 The Changing Lives, Changing Times project involved workshops at three Leeds schools over five weeks last summer and led to the development of teaching packs. These help teachers run awareness-raising workshops about disability and are being sent out to UK schools by the end of the year. 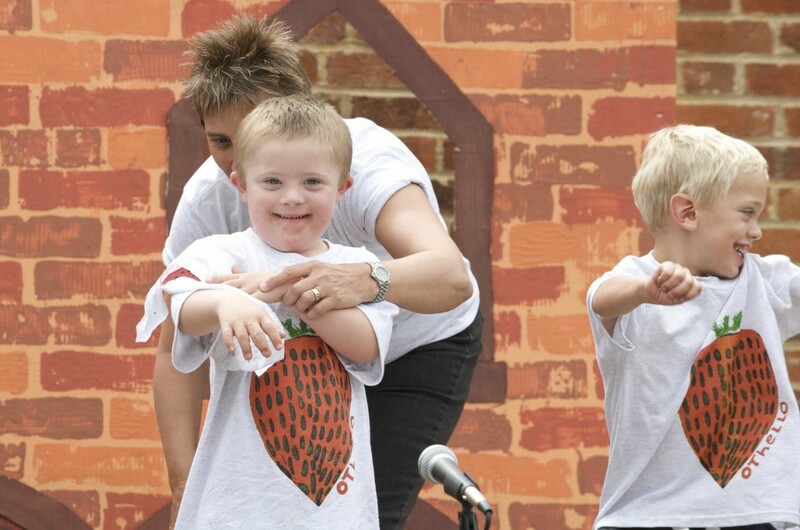 The drive coincides with Disability History Month, which starts today. The rest of my piece in the Guardian’s social care pages is here, and I’m devoting the remainder of this post to extracts from the stories of Florence and Dan, both born in the 1940s, Poppy, born in the 1960s, and Holly, born in the 1980s, reflecting the contrasting experiences of disabled people in different eras. “There were all sorts of problems of having a child that wasn’t going to be able to get do things normally. The children’s home really wasn’t ideal and they decided that they would foster me out because there were too many kids running about in the children’s home and because I wasn’t mobile I was getting picked on, getting hit, getting spat at by the other children. I then went to foster parents who, although they knew that I wasn’t going to be able to walk, said: “Oh yeah, we’ll manage that fine”. And they didn’t, and after two months I was back in the children’s home. The children’s home said “no, we can’t cope with her here because she’s not mobile” so I went back into hospital, where I didn’t really need to be but because there was nowhere else suitable and they couldn’t find another foster placement, so that’s where I went. My mother still was saying, “I don’t want anything to do with this child’, which was really difficult for her because any time that I needed any surgery or any intervention they had to get hold of her, and every time I needed something obviously it brought it back to her that I wasn’t living with her. So that must have been really difficult for her. A relative of a child that was in the next bed to me for quite a while came in and after a couple of times coming in she realised that there wasn’t anybody visiting me, because nobody from the children’s home came, my mother didn’t come, so nobody came. So she said; “Well could I still continue to visit after my niece goes home?”. And they [hospital staff] said: “Yeah if you want to”. You know: Why would you want to do this? And she said: “I just seem to have got on with her and she’s got a really nice smile”. And so after a couple of visits she’d sort of said to the nursing staff “Is there anything else I can do?” And the nursing staff had obviously said, “Well, you know, it’d be nice if you maybe spoke to the social worker”, and so they set up an appointment with the social worker – and I ended up going out to them. Initially short-term fostering and then it turned out as adoption eventually. So that was really just luck and chance. I had absolutely no idea where I was going because there was no proprietary work done – no photograph of the house, nothing. They didn’t do things like that then, they just assumed that a child would cope with it, you know. So we ended up at this house and there were like two steps at the front door. Although they knew I couldn’t walk it just didn’t register. I suppose because they felt I could stand up, I could walk, and the two are not at all related, but to people that have not known disability … why would you think about it? I don’t think my adoptive brother was really consulted that much about it and I think he just took the attitude, “well, I’m an adult, it’ll not bother me”. And so, because there was such a big gap there really wasn’t a very close bonding at all and there still isn’t, but there is with his children, so that’s okay. “I can remember, I should imagine possibly 7 or 8, being in and out of hospital and, it was suggested by the medical profession that I should go to a special school, and I always remember it was a real big old type of building and we used to be taken on a… on a blue single decker bus and this school was um, it… it was more about doing this like making raffia baskets and playing with you know, clay and they… they had gardens at the back and used to let us potter about, digging things up or planting things, but it didn’t seem to be you know, really academic type of thing, it was all about… and I always thought I was the least disabled person there to be honest. “My first memory of school was crawling down the corridor after my mum and dad had gone, and I was in tears, because I didn’t really understand what was happening. I never walked, I was on the floor, I always crawled, so I crawled down the corridor. So the headmistress picked me up, shouted at me and put me on my feet. They had bars on the walls, and she said ‘we don’t crawl here, we walk’ and I had to walk and I’ll never forget that. It was pretty traumatic at the time. The school was very institutionalised, and you got up at 7 every day, including weekends, which I wasn’t too happy about, and they had set meals, you had set bath times, set bed times, the day completely structured. Luckily we did have lessons, they did try to educate you, as much as they though was possible, but I still think we had a substandard education. It wasn’t very tasking. I remember one child getting hit around the head, and I knew it wasn’t right, but I was too scared to tell anyone. A new headmistress came, and she had very new ideas about disabled children, and I think she had higher expectations of us, and she taught us about classical music, how to appreciate the arts, I think we responded to that quite well. We would go to the theatre or we would go on days out to the Tate Gallery. The aim was to get us as independent as possible, but not independent to use a wheelchair to get about; you must walk, you must talk. I had speech therapy, although you couldn’t tell now. I had speech therapy, and , I had physiotherapy, and we had to dress ourselves, we had to feed ourselves, and some people weren’t able to do that; the more dependent you were, the less privileges you got. So because I could get dressed on my own, I could sneak a few minutes in bed longer in the morning, I had more freedom, you know, I could do as much as anyone, I could come and go as I pleased. 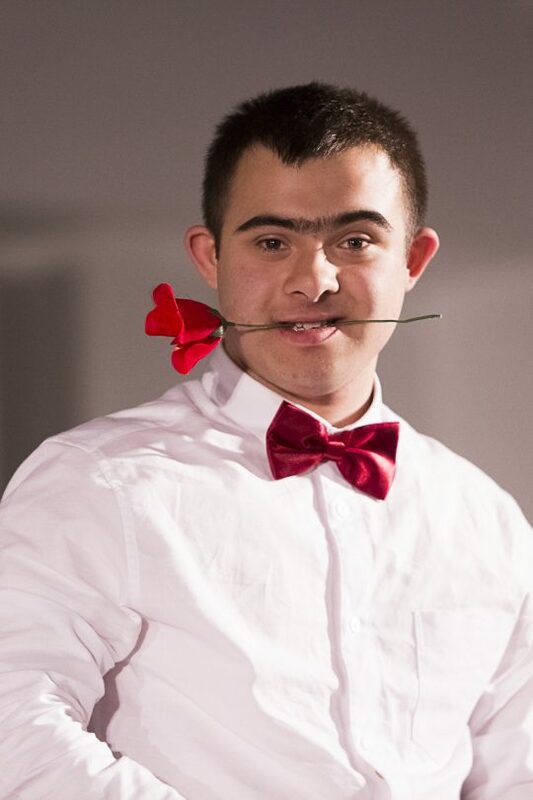 I think young people have a lot of pressure today, I think it’s harder, I know one lad, he’s at a non-disabled school and he finds it really hard to kind of be part of the whole system, because he is different, he knows he is different and in some ways, his school mates treat him differently and he hates that. I didn’t get that at school, we were all the same. College was like a right of passage. It was where I learnt to become who I am now. The way I learnt to become, I think, an independent adult, not in the sense of learning to walk, dress and all that stuff but to think for myself, to have the choices that I wanted, and to be able to make those choices. Also it made the selection process more powerful because you knew you’d been selected because of your intelligence, and not someone patting you on the head. “Some people are completely ignorant, not through malice but they are ignorant when it comes to disability. Somebody’s already formed in their own head what a disability means and if you kind of break their train of thought about what a disability is, you kind of completely shock them. I think it’s changing very, very slowly but I don’t think it’s changing at the pace that it should be. I think there’s still an awful lot of undertone, tokenism, you know, people still get patronised when they’ve got a disability. I actually find the worst people for it are teenage girls – like girls in between the ages of let’s say fifteen to early twenties. I don’t know whether it’s because you know, I don’t quite understand, but I’ve experienced really quite bad attitudes with that kind of age group. Taken from Changing Lives, Changing Times, a Leeds University-led project and published with thanks to Dr Sonali Shah. Making eye contact is difficult for Mason Milne, who has autism, and making friends is even harder. Yet the 11-year-old has met both challenges while at a special needs holiday club near his home in Colchester, Essex, over the last year. “He’s come out of himself,” says his mother, Mandy. 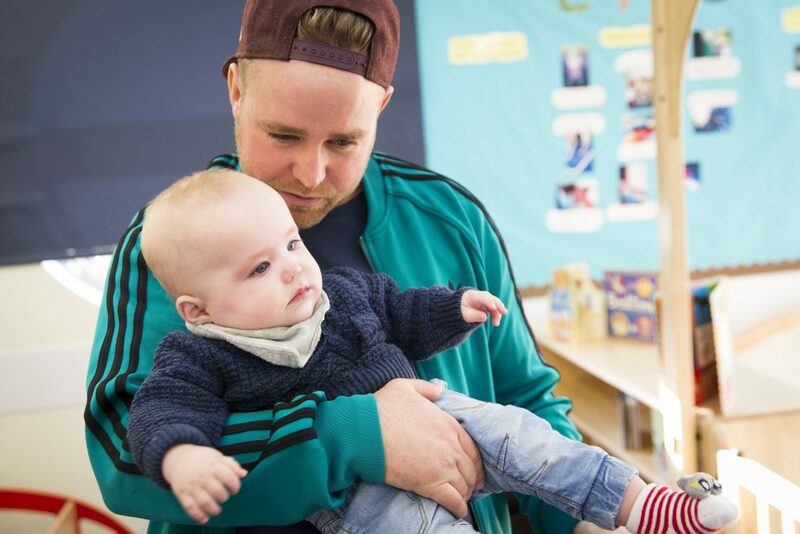 “He’s made a friend at his club and we’ve noticed how he will come up and speak a little more.” Mandy, 47, and husband, Gordon, 48, meanwhile, get some respite from caring, reassured that Mason is enjoying activities like swimming or roller skating. 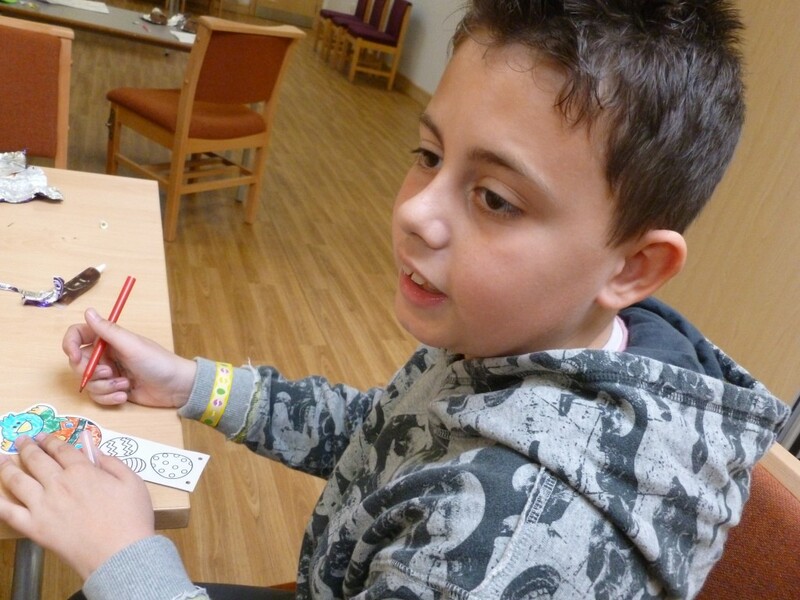 Read more about how the Buddies programme for youngsters with learning disabilities and autism goes beyond providing respite care on the Guardian website.